At Interplas 2017, Summit Systems launched a new division, supplying chillers and temperature control equipment. ‘Summit Chilled’ made its official debut at the show, with products on display from the company’s own range and from its partner, Frigel. “Frigel are a world class brand with frontline innovation, I have always admired their product line and progressive approach so I was delighted to form a serious partnership with them. The partnership gives it the ability to supply both individual chilled water solutions, and assist in full turnkey projects when automating a complete mould or extrusion shop. 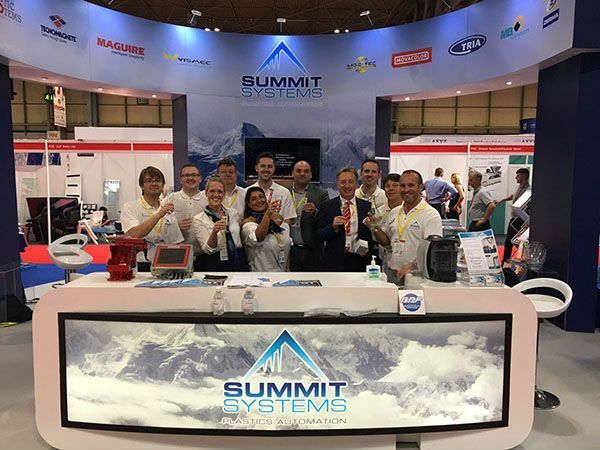 This year marks the tenth appearance at Interplas for Summit Systems and they felt it was a great opportunity to launch the new brand and display its full product range on one stand.